Interstate 85 is an east-west highway in East-Central Alabama. It runs from the Alabama/Georgia State Line, near Shawmut, to Interstate 65, at Montgomery. 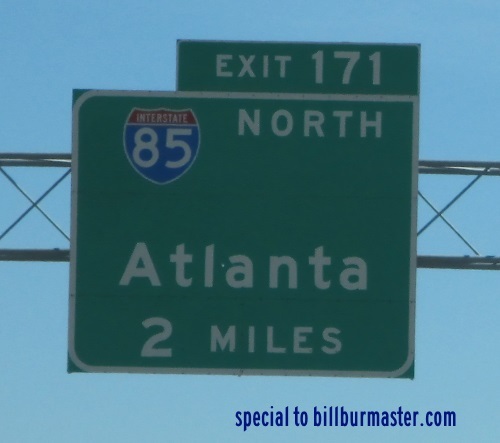 This is a direct link between Montgomery and Atlanta, Georgia and points along the east coast. While in Alabama, I-85 is multi-plexed. ...U.S. Rt. 29, from near Opelika to near Auburn. ...Alabama State Route 15, from near Opelika to near Auburn. ...U.S. Rt. 280, at Opelika. ...U.S. Rt. 80, near Montgomery. 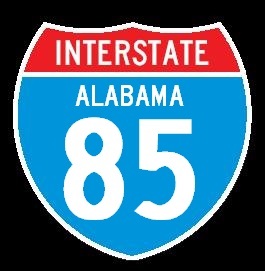 Interstate 85 crosses the following interstate in the State of Alabama. There are no branches of I-85 in Alabama.